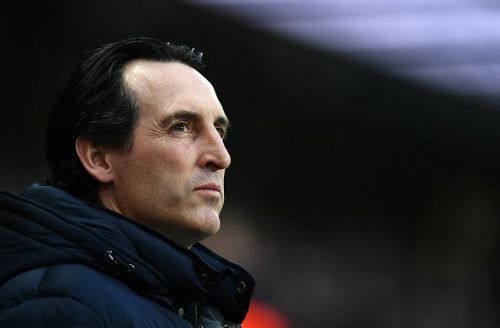 Former Arsenal star Nigel Winterburn believes Unai Emery has brought back the feel-good factor at the Emirates Stadium. According to him, the team is witnessing a 'driving force' under their new gaffer. Arsene Wenger, who is among the most successful managers in Arsenal history, guided the club to three Premier League titles. However, he struggled to keep the team together during his final few years at the Emirates and he subsequently left the club at the end of the last season. Unai Emery took charge at the club upon his departure and the Gunners are still adjusting to life under him. The Londoners are currently fourth in the Premier League table, 16 points behind the leaders Liverpool. Their main aim this season would be qualifying for the Champions League, but they face tough competition from Manchester United and Chelsea. Former Gunners defender Nigel Winterburn feels Arsenal are moving in a right direction under the guidance of Unai Emery. “We’re in a new era for Arsenal. Since Arsenal have moved to the new stadium, they’ve found it very difficult to compete. Yeah, they’ve won FA Cups, but in terms of Premier League titles, it’s just non-existent. As a club we’re looking to try and get back among the elite, and I think it’s going to be very difficult for Arsenal to do that." “Arsenal supporters realize we’ve got a long, long way to go. We’re seeing different scenarios with Unai Emery: team selections, formations, substitutions at half-time. But the more important thing is it looks like the team are together and there’s a driving force there. Arsenal are scheduled to play against Newcastle United and Everton next in the league, before hosting Napoli at the Emirates for the first leg of the Europa League quarter-finals on April 12.